Radio-Frequency Identification (RFID) is the wireless use of electromagnetic fields to read and capture information stored on a tag attached to an object. A tag can be read from up to several feet away and does not need to be within direct line-of-sight of the reader to be tracked. IntelliGuard® Intelligent Inventory Solutions utilize a global standard for encoding (or writing data) to the RFID tags, called EPC Gen2. It is a RFID passive technology, meaning there are no batteries/electrical connections to the product tags. We utilize UHF 900MHz bandwidth. What IntelliGuard® Intelligent Inventory Solutions are currently available? IntelliGuard® Pharmacy that uses advanced RFID technology to automate medication inventory management and replenishment for faster processing and reduced errors. IntelliGuard® Anesthesia uses patented and exclusive RFID technology to automatically collect actionable medication inventory data at the point-of-care, without requiring manual counting, paper recording or item-level scanning. With virtually guaranteed anesthesia care team compliance, the IntelliGuard® LVIS™ solution offers secure access, constant, real-time visibility and reliable use metrics crucial for charge capture validation. IntelliGuard® Smart Cabinets that offers RFID enabled Controlled Temperature Cabinets (CTCs) for high-value, critical-dose inventory. Inventory is automatically updated each time the door is closed and product is removed. Cold (2° — 8°C) and Controlled Room Temperature (20° — 25°C) settings available in various sizes. IntelliGuard® Vendor Managed Inventory System that offers RFID-enabled Controlled Temperature Cabinets for manufacturers / distributors to confidently enable consignment programs. Intended to be placed on-site at your client's location. Inventory is automatically updated each time the door is closed and your product is removed. Cold (2° — 8°C) and Controlled Room Temperature (20° — 25°C) settings available in various sizes from small, under counter units to large capacity models. What return on investment (ROI) can be realized by using IntelliGuard® Intelligent Inventory Solutions? Decrease of inventory and increase of inventory turns. Decrease of time required for manual counting of inventory on a daily, weekly or quarterly timeframe. Decrease of time required for reordering of inventory. Decrease of time required for replenishment of inventory. Decrease of time required for collection of recalled medications. Decrease of wasted or expired drugs. Reallocation of employee hours to patient care activities. We would be happy to share our ROI model to calculate expected cumulative benefits of our solutions in your facility. How are your IntelliGuard® Intelligent Inventory Solutions priced? What financing options do you offer? We offer a competitive and flexible acquisition methods to meet the needs of our customers. We can provide specific pricing for your facility based on the configuration and the quantity of units needed. Contact info@ig.solutions to schedule a consultation. 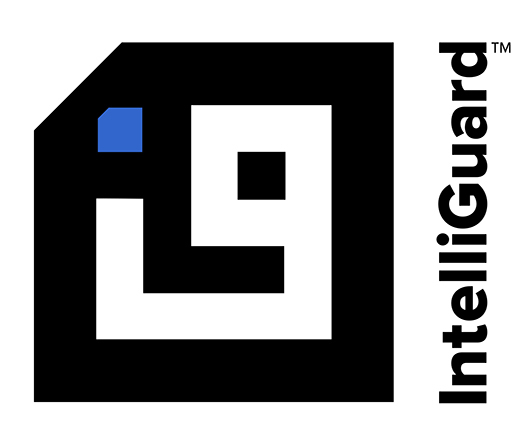 How do the IntelliGuard® Intelligent Inventory Solutions work? The process begins by placing a small RFID tag onto medication packages. The RFID tag contains a unique identifier. Using the IntelliGuard® RFID-enabled workstation (scanner/reader), product information/data such as manufacturer, medication name, NDC number, lot number and expiration date is associated with the unique identifier and placed into a relational database. Once the product information/data is placed into the relational database, the data is utilized throughout the application. The IntelliGuard® System reads the RFID tags of all product inventory simultaneously, compares it against the relational database and provides work instructions (e.g., what items are missing or expired in a tray), delivers actionable information (e.g., PAR level shortage or recalled product alerts) and provides inventory management reporting. At the end of the transaction cycle, data is made available for reporting purposes. What RFID technology do you utilize? We utilize the UHF RFID global standard as defined by ISO 18000-63 and GS1 EPC Gen 2, also known as RAIN. RAIN RFID is a passive (no battery required) wireless technology that provides the ability to identify, locate, authenticate and engage with items in the supply chain. Will RAIN RFID technology affect my medications and/or biologics? Will IntelliGuard® products interfere with hospital wireless or electronic systems? No. As evidenced in a 2008 study (http://www.rfidjournal.com/article/articleview/4186/1/1/) which tested the effects of passive ultrahigh-frequency (UHF) RFID systems on medical equipment in a real-world application model, the researchers did not discover any problems with electromagnetic interference (EMI). Does RAIN RFID pose a hazard to personnel? No. IntelliGuard® products comply with US FCC regulations governing the transmission of RF power in the 915 MHz ISM band. In addition, FCC regulations are based on the assumption that UHF systems operate in “free space”. What this means is that even if the IntelliGuard® RFID product is not used as intended (such as performing a scan with the RF sealed enclosure door open), the distance between the user and antennas, the relatively short duration of the scan, and the amount of power utilized, ensure that there is no potential to exceed allowable limits for exposure. Does your Technology require a 510(k)? IntelliGuard® Intelligent Inventory Solutions technology does not require a 510(k). Will I need to replace all of our barcode systems? How do the medication products get RFID Smart Tags? You simply apply blank RFID Smart Tags to medication in a newly opened carton. Using the bar code on the medication packaging, the IntelliGuard® system utilizes bulk inventory encoding for fast and error-free processing. Our system automatically reads the name, dosage, manufacturer, package and NDC. Once you enter the lot # and expiration date, the newly opened carton of medication is placed inside the IntelliGuard® Workstation for bulk encoding. Are RFID Smart Tags reusable? RFID Smart Tags have a unique identifier which correlates in a database to a specific item (medication, medical device, etc.) for which tracking is required, therefore they are not reusable. How many items can be scanned (inventoried) at one time? With the ability to read high-density trays, multi-layer tackle boxes and overlapping kit labels, the IntelliGuard® Pharmacy can scan more than 250 medications in a matter of seconds. The IntelliGuard® Smart Cabinets can scan up to 1,000 items, including high-value temperature-sensitive products, at one time *tested in a controlled environment. How do the IntelliGuard® Intelligent Inventory Solutions integrate with other hospital systems? All IntelliGuard® software will seamlessly integrate with your business systems using standard communication interfaces.